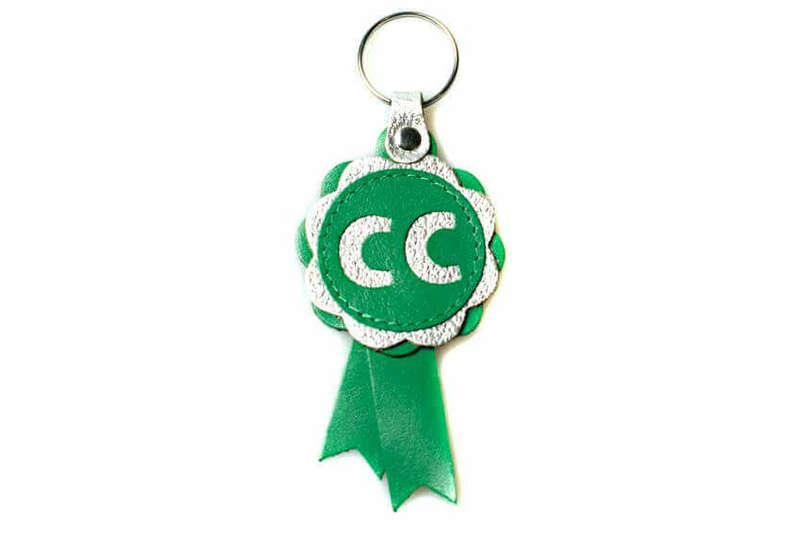 Emerald green with silver real leather rosette key ring / bag charm with CC letters cut out. This key ring is finished with a stainless steel split ring to attach your house or car keys. An original and unusual alternative to normal ribbon show rosettes that dog show exhibitors collect in boxes over the years. 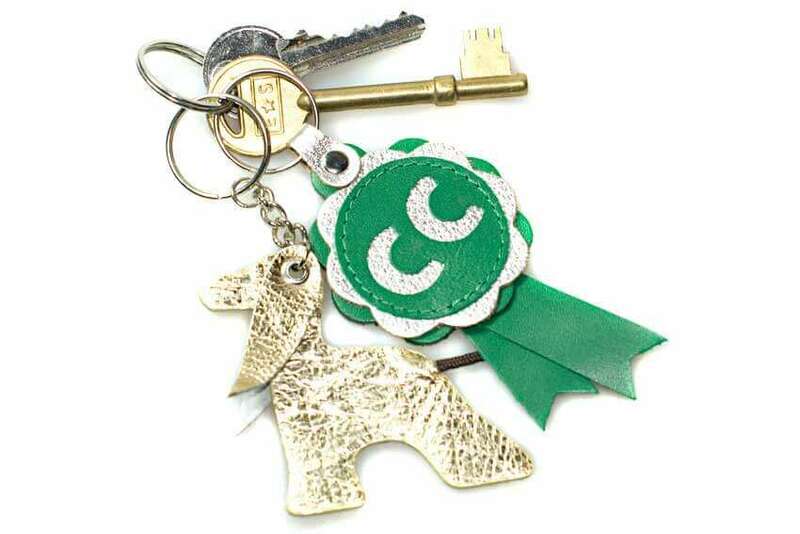 Dog Moda's exclusive design this leather show rosette key chain makes a beautiful gift for any occasion and will be used daily and treasure for years to come. Makes a great prize for all Challenge Certificate show winners and dog champion. 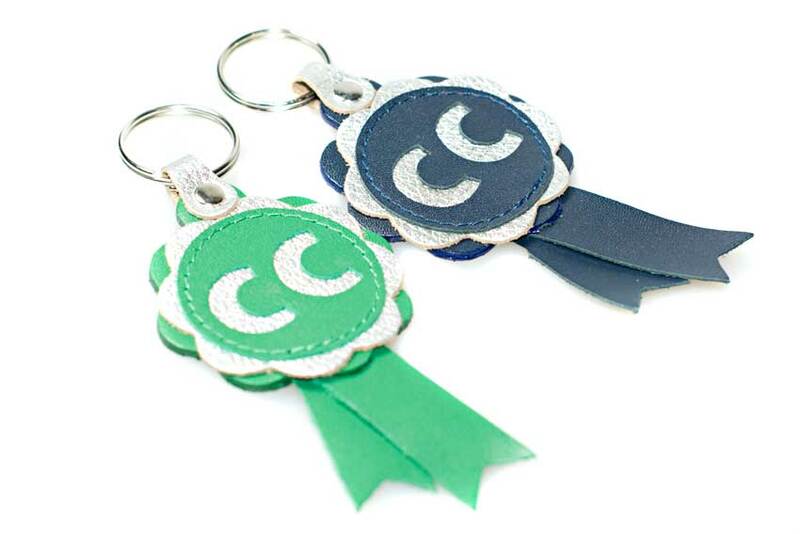 This is an unusual leather charm to decorate bags, purses and backpacks. 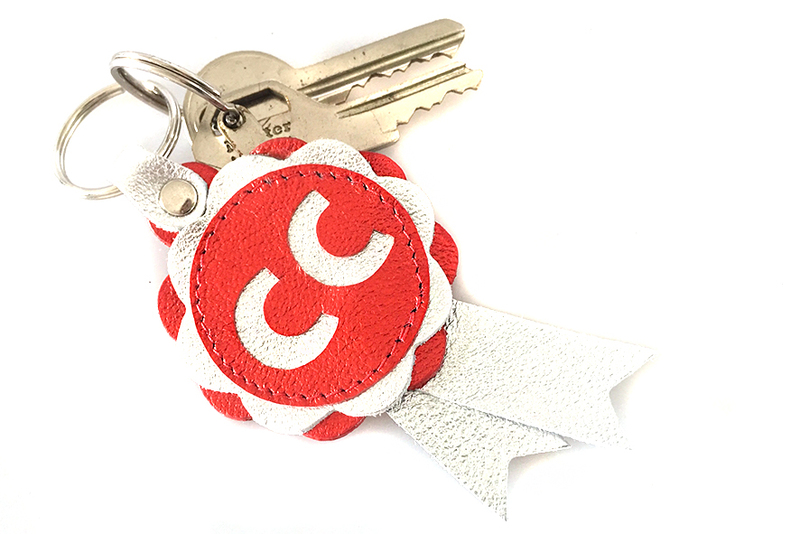 All leather dog key chain / key ring made by Dog Moda are handcrafted from really leather and are available in several colour combinations, as well as No1 design. 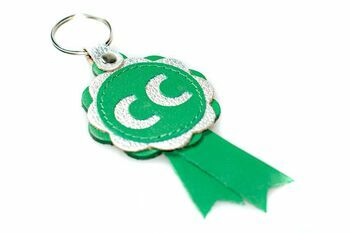 Show rosette key rings can be customised with your personal message - please see our custom key rings for more information.